The wind as a natural force has profoundly sculpted human civilization. It is paradoxical. It cools our bodies yet it fans coals into hot flames. It has propelled us across the oceans to new horizons, but at enormous cost. We have harnessed it to pump water and process grains, yet tornadoes and hurricanes still cause horrific damage. Moreover it is a vexingly invisible force. One cannot see the wind, only its effects. It is also unstoppable; build a wall and the wind simply skirts around the edges at even higher velocities. These properties are so familiar that they have become essential metaphors for events in our lives. In fact our lives are so integrated with the wind that it is fair to say it is our primary natural force. We even generate our own wind as we run and as we breathe. For the wind is more than just a force - it is a chemical mixture, a precious reservoir of oxygen, carbon dioxide and nitrogen, the molecules that bring us enzymes, proteins and DNA. I have been fascinated by the wind since I was a young child, climbing into the highest branches of the trees so that I might be at the mercy of its unpredictable and thrilling gusts. Storms both frighten and fascinate me. Later in life I learned to sail and thereby entered into a new dynamic with the wind. But I really did not intend to create a theme album about the wind. It happened quite organically, albeit assisted by my near obsession with wind and weather. I have often been asked how I name a song or select its theme. That happens in two ways. Either I viscerally feel the meaning of the song as it develops or I actually hear lyrics. That is not to say I hear voices but rather the melody forms word combinations that resonate so strongly with my feelings that the title and meaning become obvious. The song simply names itself. Originally titled Feel the Wind, the lyric taught me otherwise - and it became a love song. The symmetry of the name with regard to the final song was also intriguing. If one dare summon the wind, ethical wizardry demands the reverse incantation be within arm’s reach. In the Tolkien world, Elves are a beautiful people given to spontaneous song. Although harp and voice were the norm, it is well known they were adept at almost any instrument. The title of this song did not come from the lyric but rather from the feeling I had as I composed it. It felt so, well, elvish that there could be no other name. This song features the shehnai carrying the main melody. at the light of dawn! A song of longing, of wistful dreaming, by a young man far from home. It is not a song of remorse, but of hope. Artwork: “He is Back” Sonja Kowalski. Used by permission. What if you had smiled back at that beautiful girl so many years ago? And said hello? What if a handsome boy said hello to you, but you were too shy to respond? What if you could know… All That Might Have Been? “The Rise and the Fall” Edson Moraes (Brazil) used by permission. This song came out of nowhere one day last winter. It represented an outpouring of my soul; some profound sadness that lay hidden, deep within. It was clearly a traditional lament. Being a bit of a sailor, I realized it could be a tribute to all those brave souls lost at sea over the centuries. But my own inner feelings elude me still. The title of this song came from two sources: 1) my work with x-ray diffraction on crystals in graduate school (the melody brought back such memories!) and 2) the lyric I heard in my head: “I’m the Crystal Man, look what I hold in my hand.” I could not shake it, that had to be the name. 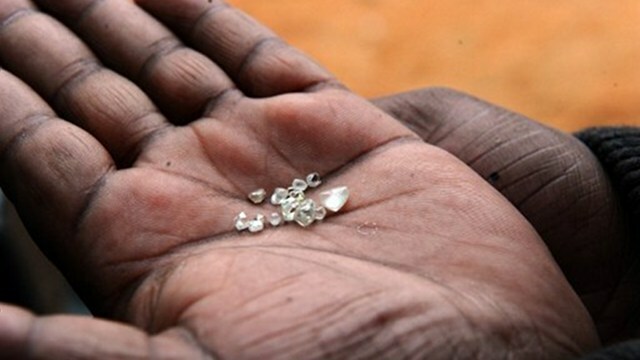 As I listened I heard a diamond miner’s story being told. The title came from the lyric I heard in the song. The story that evolved on subsequent listening was the finding of an old photograph of a former lover and all of the memories that came rushing back unbidden. Although the original chorus was played using strings, I felt it should be something more emotive. My friend Michael Rud from Denmark gave me just what I wanted with his sleek electric guitar. The song is totally instrumental and never meant to have a lyric. I tried to convey Tesla’s unbridled passion with the combination of traditional and electronic instruments, which I thought appropriate for the man who was so far ahead of his time. What I lacked was a good drum line and this is where my good friend Lenny Levash of Nevada USA came to the rescue. I think it is some of his most creative work yet and I am truly grateful! 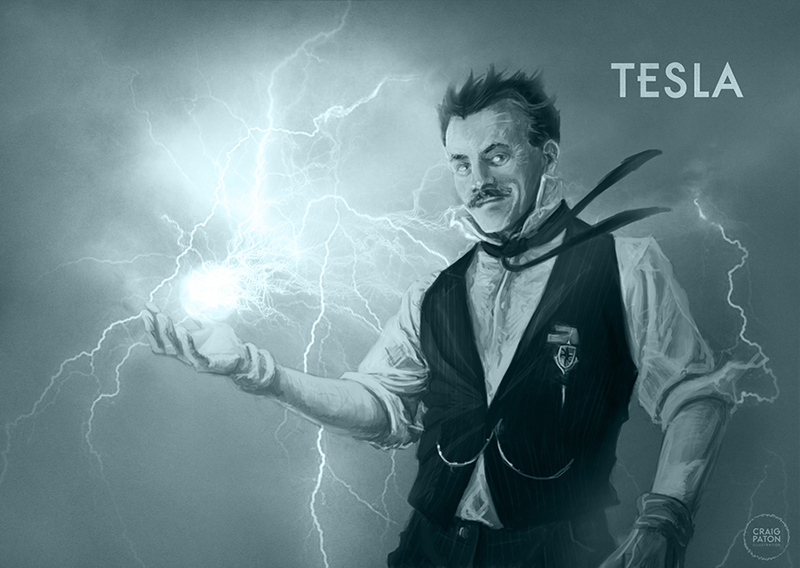 Tesla Illustration by Craig Paton. Used by permission. Whirlwind is a lighthearted song, sort of an intermezzo at just the right time to clear the palate for the remaining songs. No lyrics, just some frenetic piano and bells punctuated by a restful piano pause in the middle. The title did not come from any lyric but rather from the feeling I had while writing it: a feeling of subtle - no, overt! - joy that welled up from deep within. The plaintive flute and echoing bells, they call the wind. The title came from a feeling that I had while writing it. If I had to prove I was a wizard, what would I choose to do? Disappearing is far too mundane. What this song whispered to me was something far more powerful - dangerous even. To dare to… to summon the wind! So that rather strange phrase instantly became the title of the song - and later that of the album. I think the phrase arose from the Bible: Hosea 8:7 “For they have sown the wind, and they shall reap the whirlwind” (which I always thought would be a cool way to generate exciting weather). Thus Sown the Wind morphed into Summon the Wind. Artwork: Tomasz Szewczyk (Poland) re-colored by Edson Moraes (Brazil) used by permission.